Yeah, NECA has definitely found its way into our wallets. Of course, we’re giving away 3 of their new GOW Retro Lancers, but we’ve also pre-ordered our Borderland action figures. 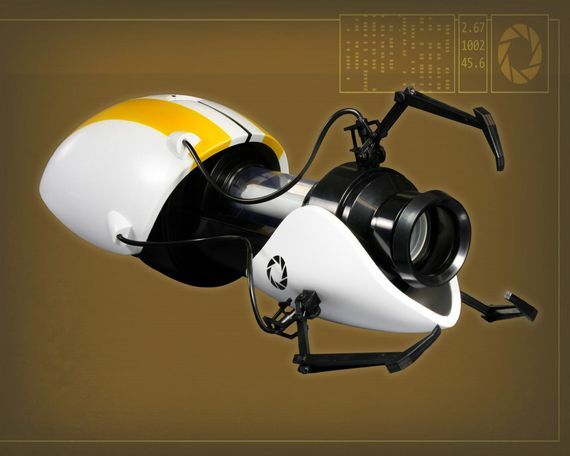 Now, they have this awesome replica from Portal 2 – P-Body’s own portal weapon. NECA’s original plans for a Portal gun replica didnt include a 2nd edition, or at least they never mentioned any of that during the pre-launch announcements. However, after the original ASPHD run of 5000 units sold in a matter of minutes, it was pretty clear they needed a 2nd one. We called that one out when we covered the 2012 NYC Toy Fair back in February! 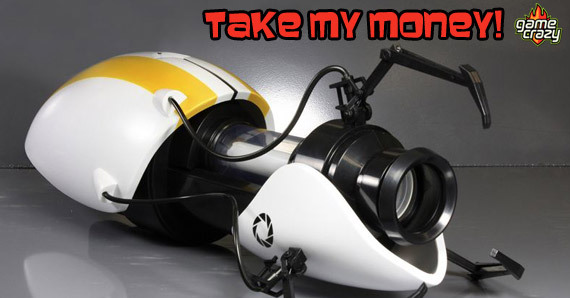 This 2nd edition of the gun is really only the 1st of the co-op devices from Portal 2. While NECA hasnt specified if they will make Atlas’ as well, they made it clear that a new run will help those fans that were unable to order the ASPHD. And as for the scalpers on eBay, NECA has asked that customers hold on to their money. The new edition has no defined price yet, but it’s easy to imagine they’ll keep the original $140 pricetag. During the launch of the original gun, several retailers decided to take pre-orders at will, completely ignoring the 5000 limit. NECA put a stop to that mess by issuing an official list of approved retailers. They’ve announced the same strategy this time, and the list of retailers being will be published next week. Okay, time to start saving! I didnt get a chance to order one of the original replicas, did you? Will you pick up this next one? Let us know on Facebook, G+, or twitter! 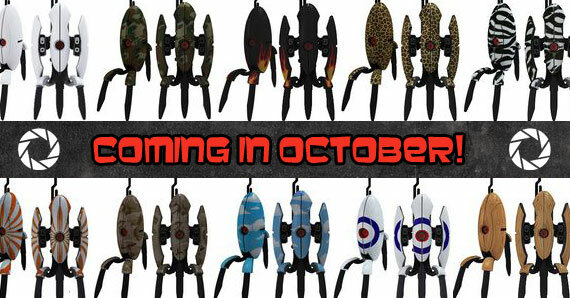 [EXCLUSIVE DOWNLOAD] – New Wizkids/NECA Portal 2 Sentry Turret Collectible Figures! NECA’s “Jingle All The Way To 30K” Contest — Win Free Stuff from Portal, BioShock & Avengers! Portal 2 Gun Replicas and Jumpsuits: The Next Best Thing to Actually Putting Holes in the Wall Gears of War Giveaway – 2012 SDCC Exclusive NECA Gears of War Poster We Want One: NECA Half-Life 2 Gravity Gun Replica Coming in 2013! Dead Space 2 Giveaway – Light-Up Isaac Clarke Action Figure & NECA T-Shirt! Dante’s Inferno Giveaway – Win a Dante Action Figure Plus a NECA T-Shirt! Did You See the New Team Fortress 2 Action Figures from NECA? Go Behind the Scenes! 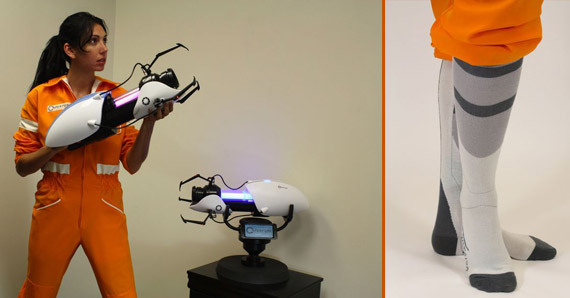 This entry was posted in The GC Blog, Toys and tagged portal 2 gun, portal gun replica by LeoSaraceni. Bookmark the permalink.